Cherry Hill Apartments is a 23 minute walk from the Orange Metrorail Orange Line and the Silver Metrorail Silver Line at the CLARENDON METRORAIL STATION stop. This apartment is in the Maywood neighborhood in Arlington. Nearby parks include cherry valley park, arlington, va, oakgrove park, arlington, va and Windy Run Park. 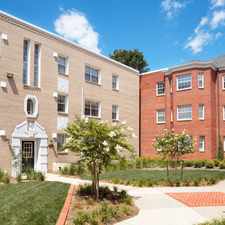 Cherry Hill Apartments has a Walk Score of 79 out of 100. This location is Very Walkable so most errands can be accomplished on foot. BRAND NEW CONSTRUCTION, NOW LEASING! 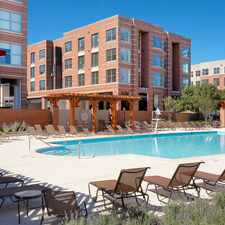 Cherry Hill offers premium choices for downtown luxury apartment living in Arlington, Virginia. Offering oversized 1, 2, and 3 bedroom apartments, many with a balcony or patio. Cherry Hill is located in the charming Cherrydale Maywood community and is the perfect oasis from the hustle and bustle of the DC metro area. Easy walking distance to local retails, restaurants, and coffee shops. Less than 3 miles from DC, via Lee Highway and 1.5 miles from either the Ballston-MU or Virginia Square Metro. These stylish apartments offer luxury community and apartment communities. Including wood style floors, convenient in-unit washers and dryers, spa-inspired baths, spacious closet systems, designer-grade kitchen, on-site fitness center, yoga studio, grilling stations, and more. Schedule your tour today! Explore how far you can travel by car, bus, bike and foot from Cherry Hill Apartments. Cherry Hill Apartments has good transit which means many nearby public transportation options. Car sharing is available from Zipcar and RelayRides. Cherry Hill Apartments is in the Maywood neighborhood. Maywood is the 17th most walkable neighborhood in Arlington with a neighborhood Walk Score of 72.